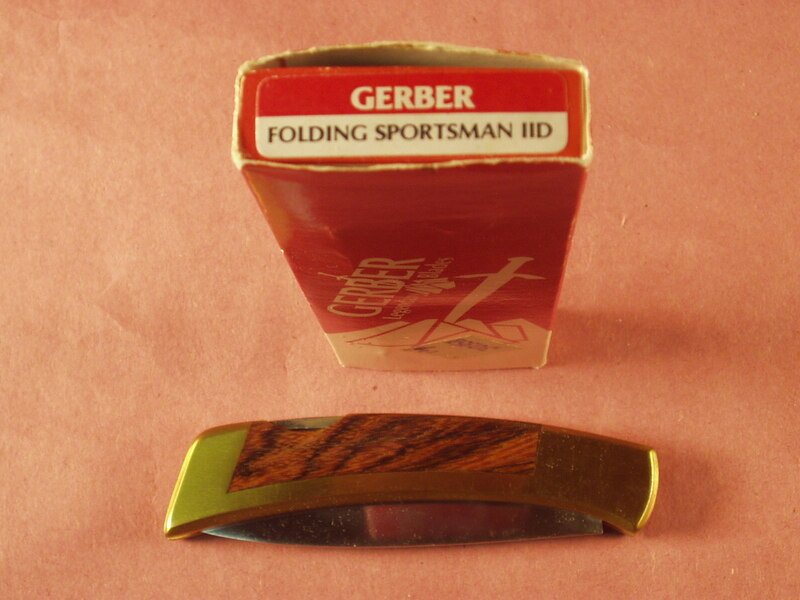 Here we have a real find, new in the box is an original Gerber Folding Sportsman IID. This Sportsman IID is in MINT condition. 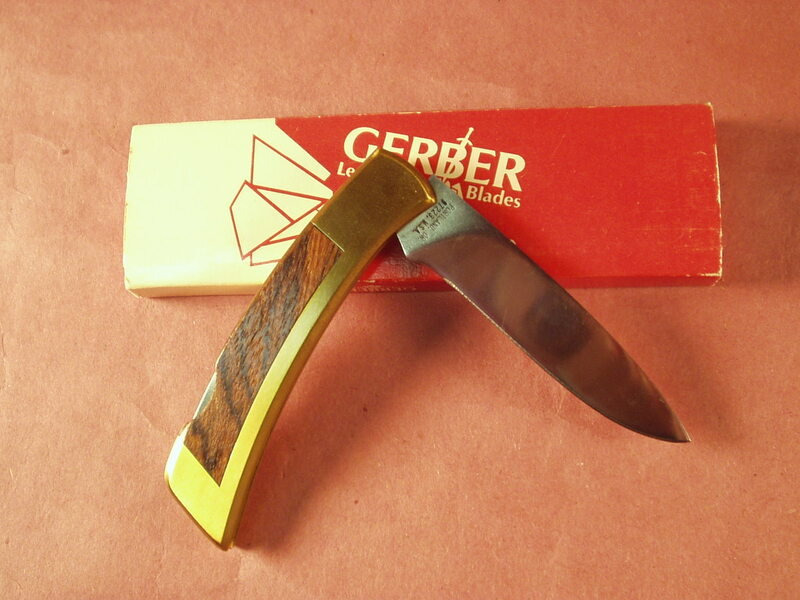 It has not been carried and used since it was purchased and with the brass bolsters and wood inlay is reminiscent of the days when Gerber made some very high quality products. 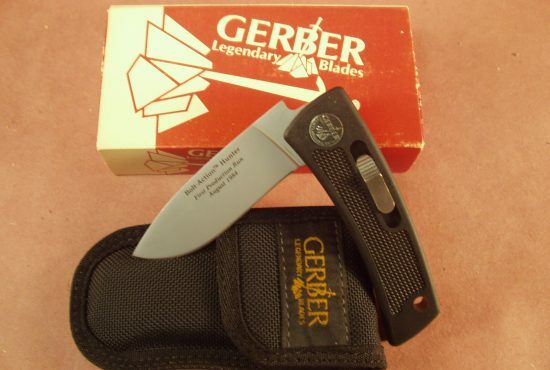 The Gerber Folding Sportsman IID – ( D stands for drop point blade) were made from 1975 – 1996 and has long since been discontinued. 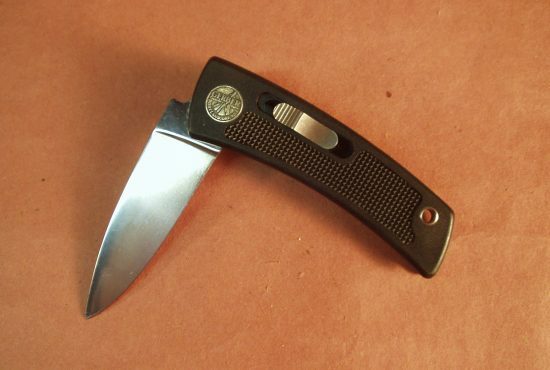 The Sportsman IID’s are harder to find as they didn’t make many with the drop point. 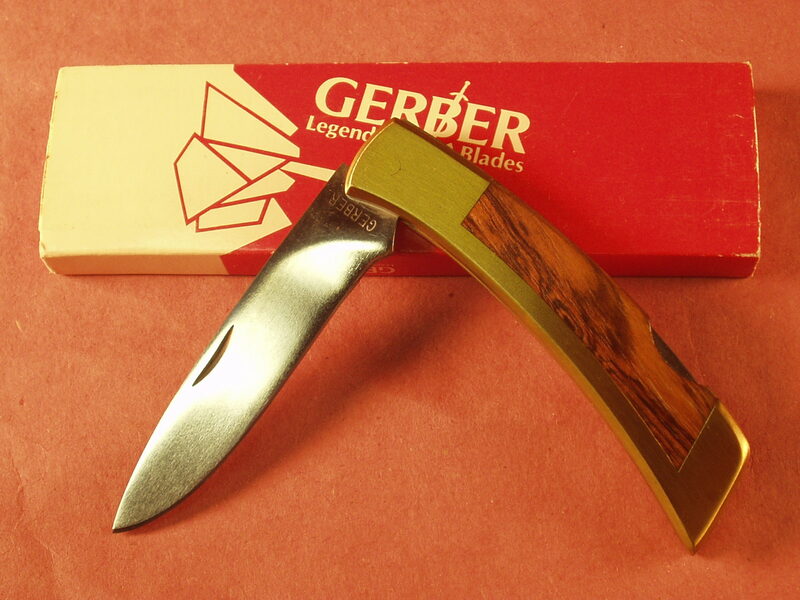 This is some of the nice’s wood I have seen on a Gerber FSII knife. 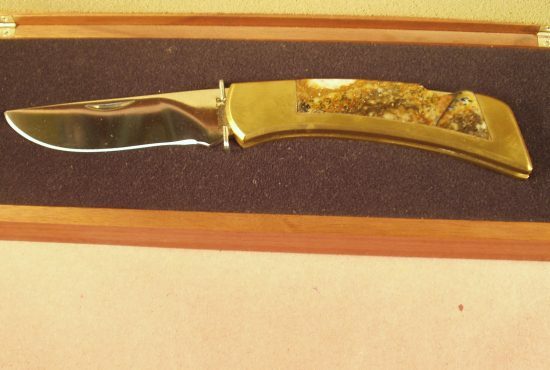 The orange and white box dates this knife to approximately the mid to early 1980’s. 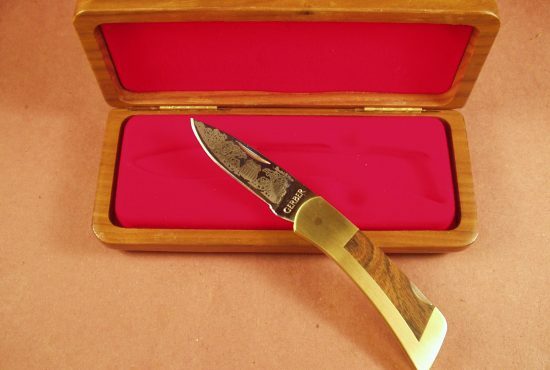 This is truly an investment grade knife.